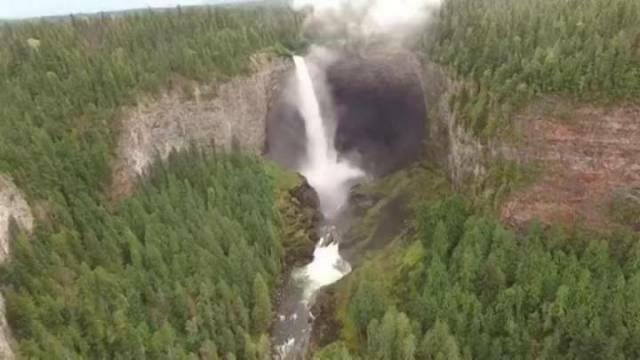 A drone piloted by Clearwater-area resident John Meyers gives a different view of Helmcken Falls in Wells Gray Park. Photo below: A drone piloted by a Clearwater-area resident gives a different view of Helmcken Falls in Wells Gray Park. The use of recreational drones is reportedly banned in BC Parks. Commercial users can get a permit.